This is already my second batch of this whitening toothpaste that I’ve whipped up. I got the recipe from Sophie Uliano’s site sophieuliano.com and fell in love with the minty clean feeling I get from using this toothpaste. The ingredients are inexpensive and go a long way. Mix all ingredients together in a small jar. I used a small glass baby food mason jar with plastic screw on lid. That’s it! Now you just dip in your toothbrush and gently brush your teeth! Both Baking Soda and Hydrogen Peroxide have whitening properties. *Note* – People with sensitive teeth should use with caution. May cause teeth to feel more sensitive while brushing (my own experience). 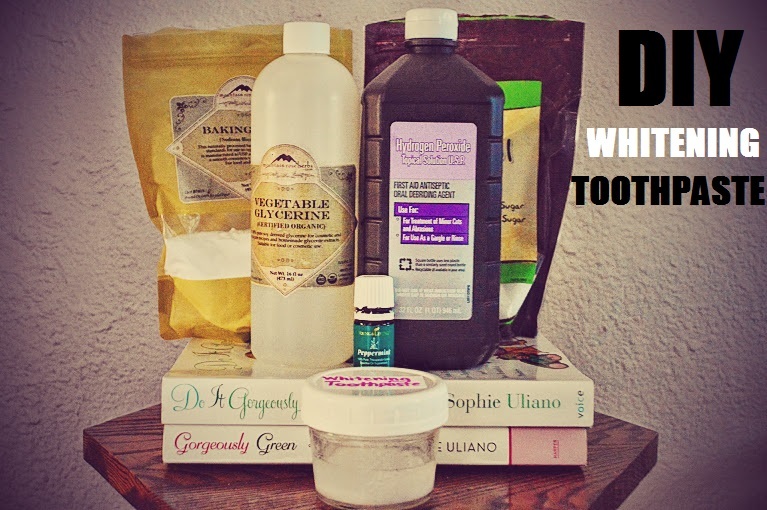 Have any of you tried a homemade toothpaste recipe before? Please share them below. Thanks! 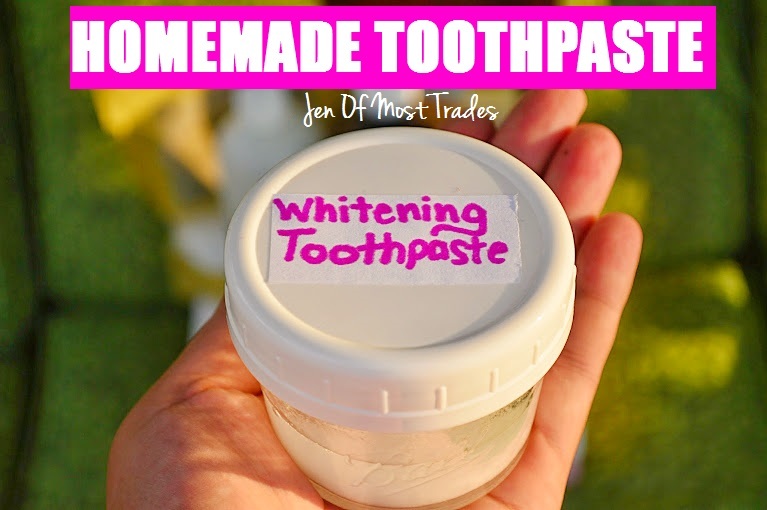 I have been looking for a homemade toothpaste that have whitening benefits. Thanks for sharing!